It’s Fundraisers that make the difference. You know this, and so do we. It’s why we focus so much on recruiting and selecting the right people and giving them the best training we know how to. It’s also why we designed a compensation plan to ensure that our fundraisers are among the best paid in the world, with a living basic wage and a generous bonus structure wholly based on quality metrics which directly affect our clients’ Return on Investment. All of our fundraisers are employed members of staff. We wouldn’t entrust any conversation to independent contractors. We pride ourselves on our people; on how they represent our clients, and the stories they tell. We thought you might like to hear some of their stories too. 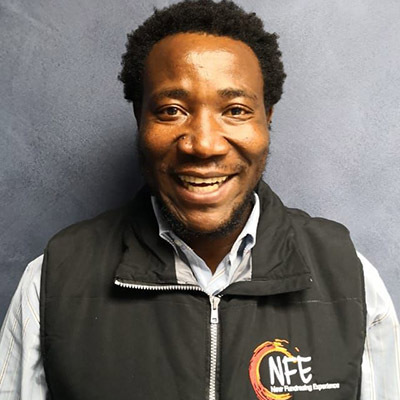 Edmond Jambara is from Bulawayo and currently living in Durban. his ambition is to make a difference for humanity as well as nature. 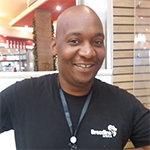 Phillip Mudzingwa started his career by studying marketing management at an early age. He has never stopped with his ambition to do more which lead him in following his passion of helping people and making the world a better place. 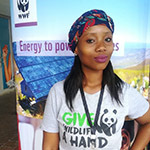 Nyarie is 24-years old ambitious lady who is extremely goal driven and is passionate about the environment. She is currently fundraising for WWF and believes wildlife is crucial for species who live on the planet. 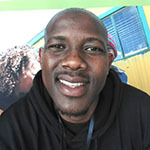 Sihle is 32 years old and has 3 lovely children who mean the world to him. He recently joined the team and finds F2F fundraising inspiring as every day he has an opportunity to change the world. Lambda is a trained and qualified technician, focused and self-motivated individual with a combined 15+ years experience in different engineering industries. He feels blessed to have worked in a few countries with diverse people from different backgrounds and cultures. In April 2017 he felt the calling to serve humanity and became a Face to Face Fundraiser. 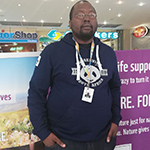 His love for the outdoors and wildlife saw him work passionately on a WWF team in Gauteng, South Africa. He describes himself as a hardworking and trustworthy individual with strong family values and loyalty. He considers himself as a person willing to take challenges and learn new things evidenced by his transmission from a technical background to fundraising. Lambda is an avid fan of sports from soccer, cricket, rugby and athletics. He loves outdoor activities such that he went bungee jumping in the Victoria Falls bridge. He always creates time to go running and has run a number of marathon and ultra marathons. Sharon is a young energetic lady who has a passion for children. She enjoys fundraising as she feels she is making a positive impact on society. 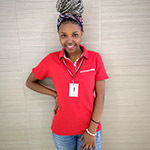 Unathi recently joined the team and she loves her experience so far as she gets to meet people from all walks of life. 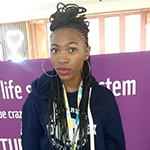 Andiswa is a young woman who aspires to be an advocate for social change. She loves people and the finer things in life. 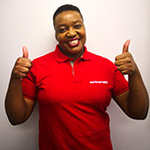 Andiswa is working hard towards achieving all her goals before the age of 30. 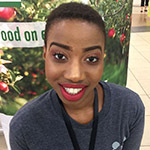 Lenhle is 26 years old and she’s originally from Swaziland. 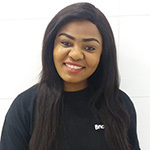 She is a Public Relations and Communications management graduate and currently pursuing her BA honors degree in integrated organizational communications at UNISA. She recently joined NFE and is enjoying her journey so far. Sasha is studying music part time, this year she knew she needed to make a change and give back to this beautiful world we live in. Fundraising with NFE helps Sasha make her contribution to Humanity. 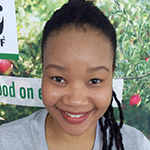 Mercy hails from the city of Gold and loves her Kota (Bunny Chow). She is one of our youngest members in the team. 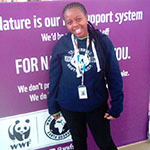 Mercy recently moved to Cape Town after she got the opportunity to fundraise for NFE on the WWF campaign. 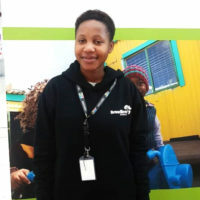 Mercy is also a qualified nurse in primary health care with a bubbly personality and has a great love for nature and children. She is by far one of the coolest Nurses on the planet. Cassandra is a young woman who is a Development Studies graduate. She thrives to make a difference in humanity and loves making the world a better place. 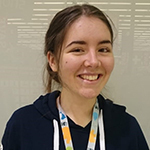 She recently joined NFE and is loving the experience of meeting and interacting with different people every day. Tsitsi has always had a love for children from an early age. Fundraising for Action Aid offered her an opportunity to save children’s lives and bring them hope for a better world. 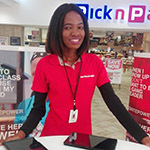 Dikeledi loves interacting with people and her passion and love for children and fighting for human rights has led her to fundraise for Action Aid. 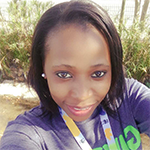 Sindy is the Donor Care Officer for New Fundraising Experience residing in Johannesburg. Sindy has worked with reputable NGOs such as Plan International and Doctors Without Borders (MSF). 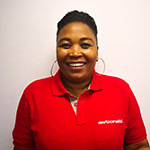 Sindy comes with over 10 years’ industry experience in administration, events planning, marketing, fundraising, donor care engagement and management of relations. She has a passion for people, creative imagination and contagious enthusiasm. Dabeah is from the dusty streets of Pretoria (Hammanskral). Most of her friends call her Debs. She’s very passionate about criminal psychology and believes she will one day study it. She always says ” what you truly love doesn’t always loves you ” but nevertheless she loves. 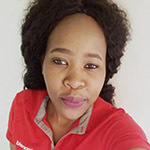 Phindile is a very passionate lady who is caring and kind. She is a very bubbly person who has an outgoing personality. This is her first time in the fields of fundraising and when asked what she enjoys the most she said. “I could proudly say I enjoy every thing about fundraising, from the pitching to the people to the number of sign-ups I get”. Maranatha Gomez is originally from Rwanda, she aspires to become a nurse one day. She chose to become a face to face fundraiser because she believes in making positive changes around the people who are in need the most. Zanele was born and bread in Richards Bay and is a natural people’s person. 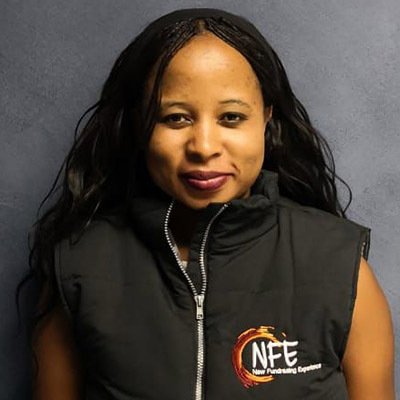 She recently joined the NFE family in Durban and loves every moment of F2F fundraising.